Wow, has it Really Been TEN Whole Years!!! Yes, it’s True! Abbot Kinney First Fridays in Venice Launched in May 2, 2008. Find out how #AKFF started and what we’ve got in store for you! Every month, we will feature throwback graphics and will give detailed accounts of it including the good, the bad and the just plain stupid! Fortunately, most of it’s good! First things First: when the blog was first started, the event was more of a Venice neighborhood event on Abbot Kinney, where shops were open late, had sales plus food, drink and music. This was in the pre-food truck era. Our Founder and Editor, a Venice local, the owner of Jagmedia who was passionate about all things Venice jumped in and started this blog to help boost attendance and get the word out about the monthly event, every First Friday of the month. How did @AbbotKinney1st do it? In a nutshell, we kept at it and kept going, despite our detractors – yes there were those in that category, which will cover in another post. Every month we, wrote articles on what was happening, gave the scoop on special events, which merchants were participating and the food trucks, once they became a thing and started heading to Venice in droves. We have much to share with you and will post articles every month about the history of Abbot Kinney First Fridays: what were the trends, who were the players and chronicaling how Venice was at that time. Plus, throwback photos from First Fridays, Venice and the numerous events we covered -and we sure covered a lot of them. From humble beginnings where our Founder started writing about the First Fridays of the month in Venice, to Venice events, entertainment and lifestyle; then broadening the scope of the blog to Santa Monica, Marina del Rey, Westside, Playa Vista and other beach areas. 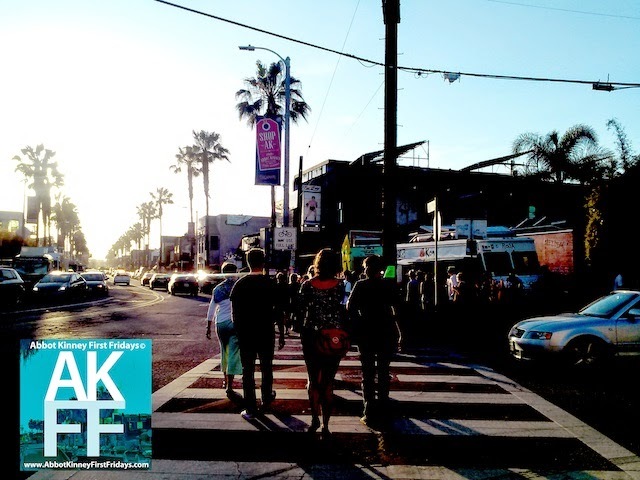 AKFF also covered the growing tech scene in 2011 that became known as Silicon Beach and also included features on other areas like #dtla, Downtown Los Angeles and South Bay. There’s much to tell, especially since Venice is such a unique place with a lot of character going from bohemian beach town to Silicon Beach in recent years! We’ll tell you as much as we can, and hope to hear from our readers too. Do you have a story to share or a suggestion for material you want to know about related to First Fridays or Venice? Simply reply in the comments area below. Register as a follower and log in to post (yes, we want to make sure it’s really you). We’d love to hear from you! 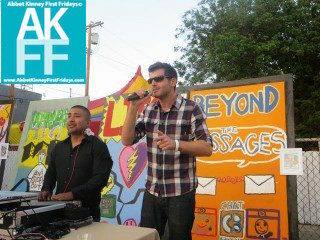 Fab Food Trucks at Abbot Kinney First Fridays, February 2!